Bothie - put yourself in the picture! Bothie makes it easy to put yourself in every picture you take. There's no need to learn photoshop - just point, shoot, and shoot again! Bothie uses the main camera for your main snap, and the selfie camera to capture and inset you. At last, no more awkward stretching and straining to be in shot with those beautiful sights, and definitely no need to ask a stranger to take your photo! Now you can take truly personal shots in an instant. Frame yourself any way you like! With Bothie, you can frame your selfie any way you like to add a little je ne sais quoi to your photos! Bothie offers some beautiful frame shapes, shadow, and glow effects for your pics. You choose how your bothie goes together - and with our range of frames you can tailor it perfectly. It's easy to do and easy to change until you're happy with the outcome! Out with friends, and want everybody in your photo? 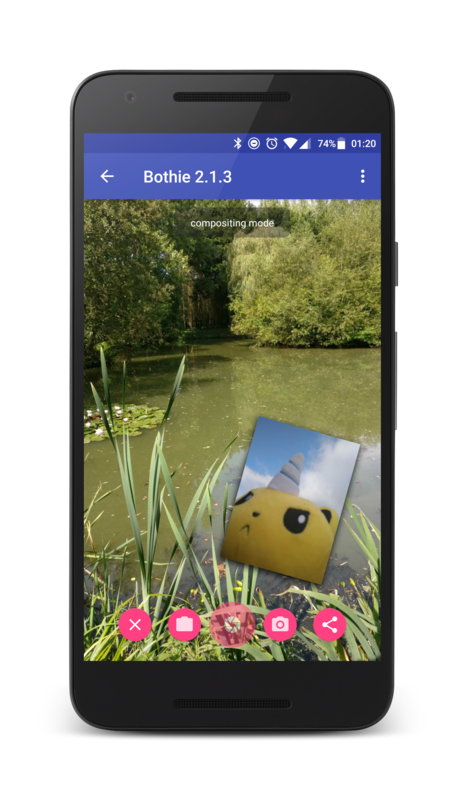 Just use Bothie to send and receive selfies from everybody nearby, and composite them together! 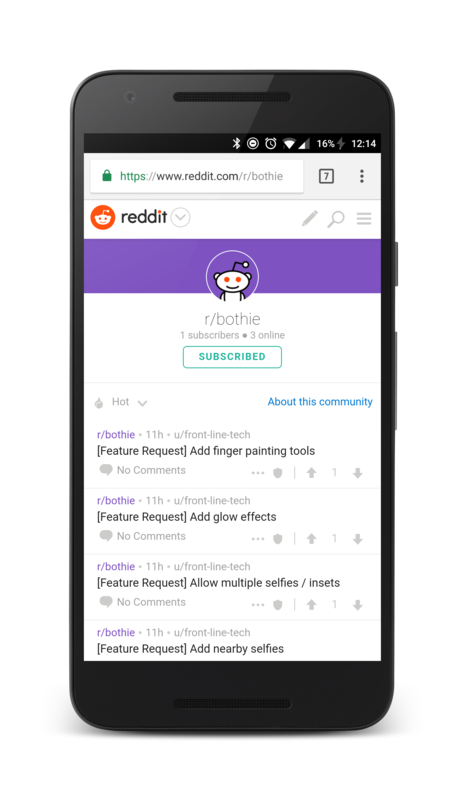 Bothie's Groupie feature lets you share pictures with your friends, and inset them right into the bothie they're making right now! It uses the Android Nearby toolset so you can seamlessly send your selfie across the room. Bothie is all about you and your photos. 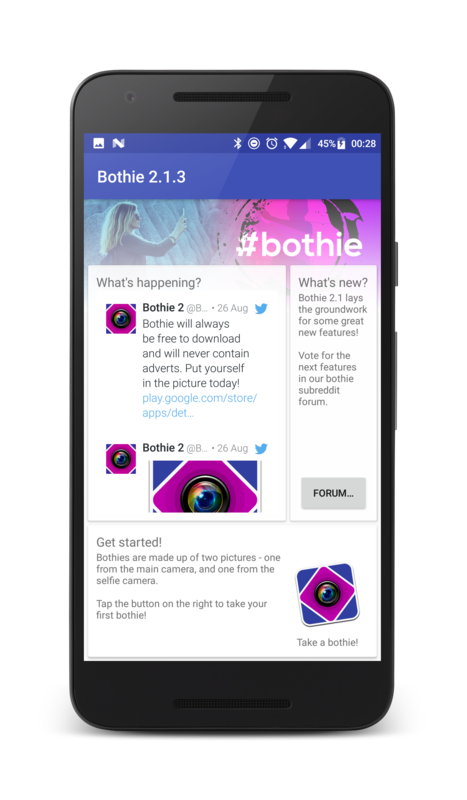 Share them with us @BothieApp and we'll retweet and celebrate with you, and the smartphone photography community!